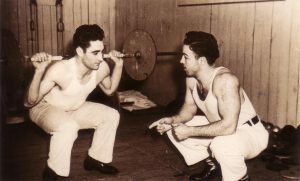 Weightlifting is one of the original Olympic sports since the first Olympics in 1896. 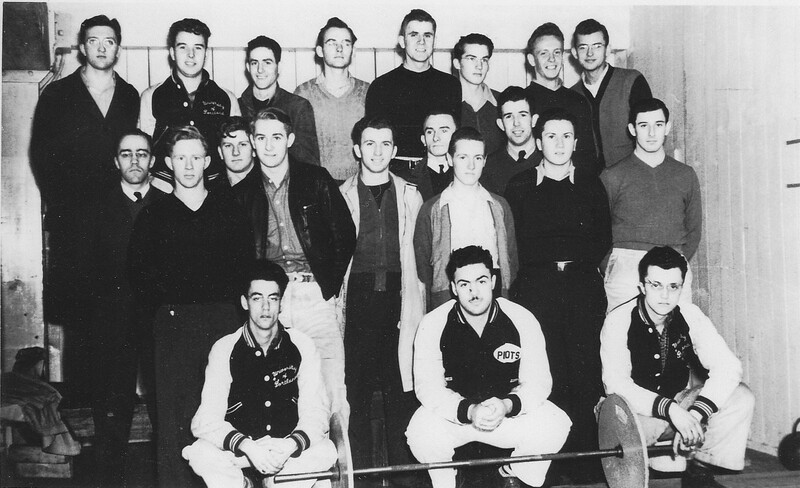 Loprinzi’s graduation (Class of 1943) and military service left the club inactive until Loprinzi returned to the Bluff in 1947 as a member of the faculty and advisor for Body Building. After the Howard Hall fire in 1948, buff club members devoted themselves to “repairing fire-damaged Howard Hall equipment and seeking exercises on the tennis court and in neighboring gyms.” (1949 Log) The Body Building club failed after 1949. Today’s campus features recreation facilities in Howard Hall, Chiles Center, and in the Beauchamp Recreation Center. Big hearted phil One of the biggest hearts and strongest men ever in earth.